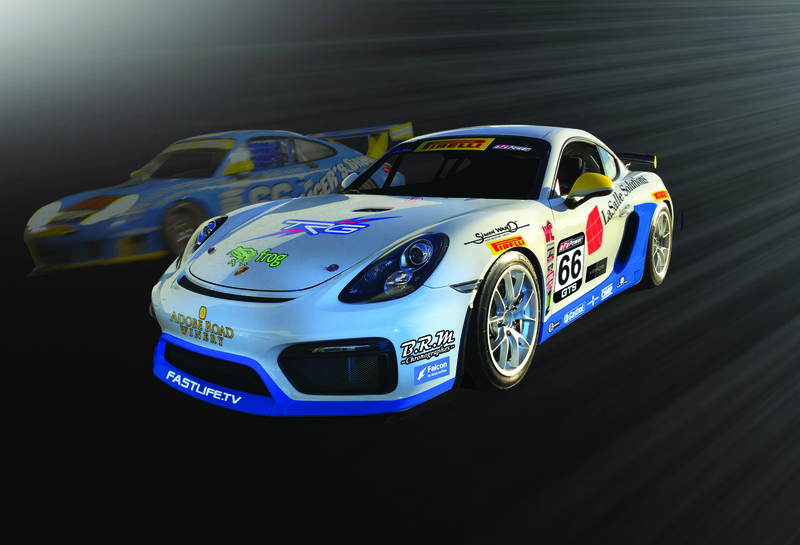 After a long season hiatus, DeBoer and Gibbons are looking forward to getting behind the wheel of the #66 TRG | LaSalle Solutions | BRM Chronographes | Frog | Armor | Fastlife TV Porsche Cayman GT4 MR to gain a lightening quick jump on the full-season SprintX championship. TRG’s history of success and achievement certainly extends to Circuit of the Americas. The team had an epic GT win in 2013 with Porsche and also took the GTD pole position in 2014. 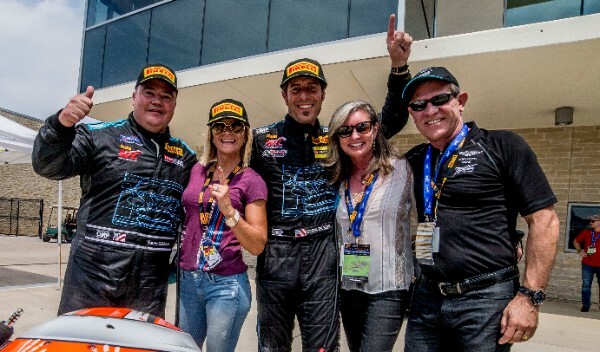 TRG has achieved numerous wins and podium finishes across many series at COTA, including last year’s PWC double SprintX victories with DeBoer and Gibbons behind the wheel. 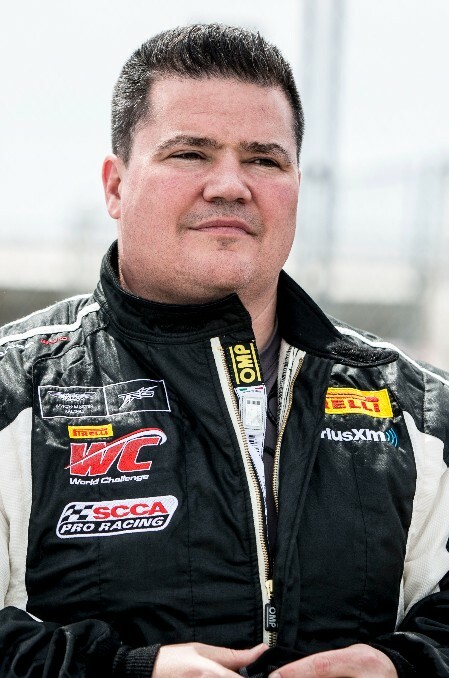 DeBoer had a breakout 2016 season with two wins and multiple podiums and took a hotly contested overall SprintX GTS driver championship down to the wire before ultimately finishing second, driving TRG to the 2016 PWC SprintX GTS title. He also scored two second-places in Lamborghini Super Trofeo racing action within that season. Last year at COTA, DeBoer teamed up with Gibbons to win both SprintX GTS races and finished the season with a stellar four wins, two second-place finishes and a third place podium position. Dallas’s Sean Gibbons, is also no stranger to the podium, having achieved top three finishes in close to 70 percent of his races and is a top contender in everything he drives. He’s a proven winner with the two SprintX victories achieved last year with DeBoer here at COTA. He made his PWC debut in 2017 at St. Petersburg, breaking into the top 10 in both Florida contests, winning the Hard Charger award along the way. Gibbons, an executive at Sirius XM when he isn’t in a race car, is eager to team up once again with DeBoer. 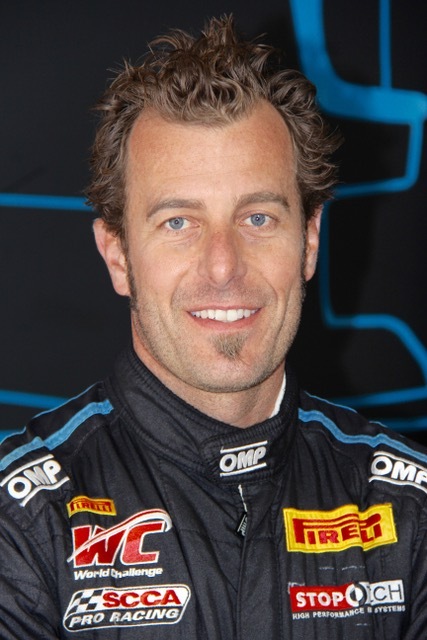 Fan favorite Derek DeBoer returns to COTA in the TRG #09 Aston Martin V8 GT4 Vantage. DeBoer had a breakout 2016 season with two wins and multiple podiums and took a hotly contested overall SprintX GTS driver championship down to the wire before ultimately finishing second, helping TRG to the 2016 PWC SprintX GTS title. He also scored two second-places in Lamborghini Super Trofeo racing action. Last year at COTA, DeBoer teamed up with Gibbons to win both SprintX GTS races and finished the season with a stellar four wins, two second-place finishes and a third place. His co-driver, Dallas’s Sean Gibbons, is no stranger to the podium, having achieved top three finishes in close to 70 percent of his races and is a top contender in everything he drives. He’s also a proven winner with two SprintX victories last year with DeBoer here at COTA. He made his PWC debut in 2017 at St. Petersburg, breaking into the top 10 in both Florida contests, winning the Hard Charger award along the way. Gibbons, an executive at Sirius XM when he isn’t in a race car, is eager to team up once again with DeBoer. “I couldn’t think of a better duo of drivers and friends to bring to the PWC SprintX championship run… this is my “Dream Team! !” says TRG CEO Kevin Buckler. “Derek and Sean are always incredible together both on and off the track. They’ve really been gearing up for this weekend and can’t wait to defend their SprintX title here at COTA. I’m looking forward to showing what happens when we put consummate professionals together in every category and with the right team. Pictures of Hope, helmed by award-winning photojournalist and philanthropist Linda Solomon, encourages disadvantaged children of all ages to express themselves through photography. The program is a proven winner, going directly to the schools and shelters where Linda and her mentors can have the most impact. 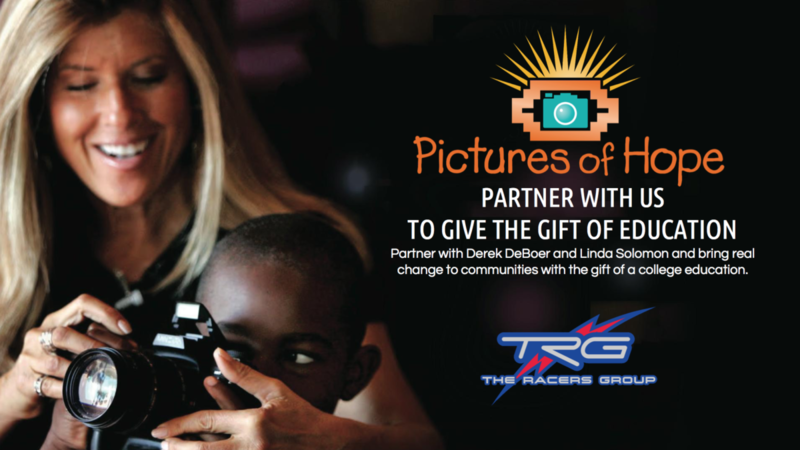 Now, partnering with Derek DeBoer and TRG, Pictures of Hope will provide one full-ride four-year college scholarship in each SprintX racing community to Blackburn College in Illinois — a $100,000 value. TRG friends, partners and sponsors are helping to fund the program with a two-to-one donation match. Filmmaker Brooke DeBoer follows her husband Derek to the track — with her camera in hand. She captures all of the on-track and off-track racing action for her Amazon Prime series Fastlife, now in production on season two. TRG is prominently featured and Amazon Prime members can watch the highly rated docuseries for free. The weekend begins with a series of special events, designed to highlight TRG’s radical shift in event marketing and B2B opportunities. First up on Friday, March 23 is an Adobe Road Winery Winemaker Dinner at Austin’s premier steakhouse, III Forks. This event features exquisite Adobe Road award-winning wine and food pairings. VIP guests will enjoy a wonderful evening, elevated by TRG’s signature camaraderie and networking, all designed to enhance and activate business around motorsports. The Texas-sized race week concludes with a winemaker dinner at Cordillera Ranch March 27. Located north of San Antonio, Cordillera Ranch takes full advantage of 8,700 acres of unsurpassed beauty and boasts seven resort-style clubs. There’s simply no place like it — in the Texas Hills or perhaps any place on earth. Guests will enjoy an inspired wine menu centered on our acclaimed Adobe Road wines with a menu crafted and presented by Cordillera Ranch Executive Chef Isaac Cantu and his team. And, of course, Kevin and TRG drivers Derek DeBoer and Sean Gibbons — and the team’s Aston Martin race car — will also be on hand, hot on the heels of the team’s Pirelli World Challenge SprintX race weekend at Austin’s Circuit of the Americas.